Sgt. Scott Kershaw has been with the Durham Police Department since 1994. He is currently assigned to the Traffic Services Unit. Sgt. 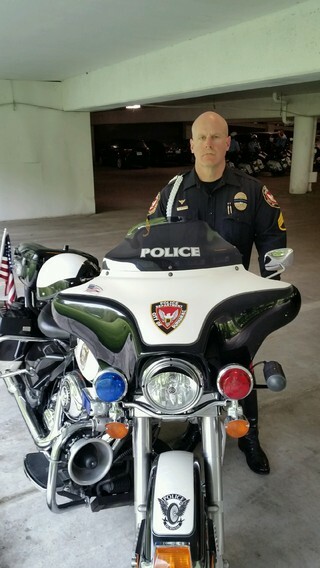 Kershaw has recently become a part of the Durham Police Department's Motor Unit in 2015. He also completed his Bike Safe Assessor Certification in 2015. Sgt. Kershaw is a General and a Specialized instructor in Defensive Tactics, Ground Fighting and Master Instructor for Taser. Sgt. Kershaw has an A.A.S. Degree in Criminal Justice.